Studio 300 recently completed upgrades to four of our rooms to better assist our patrons. 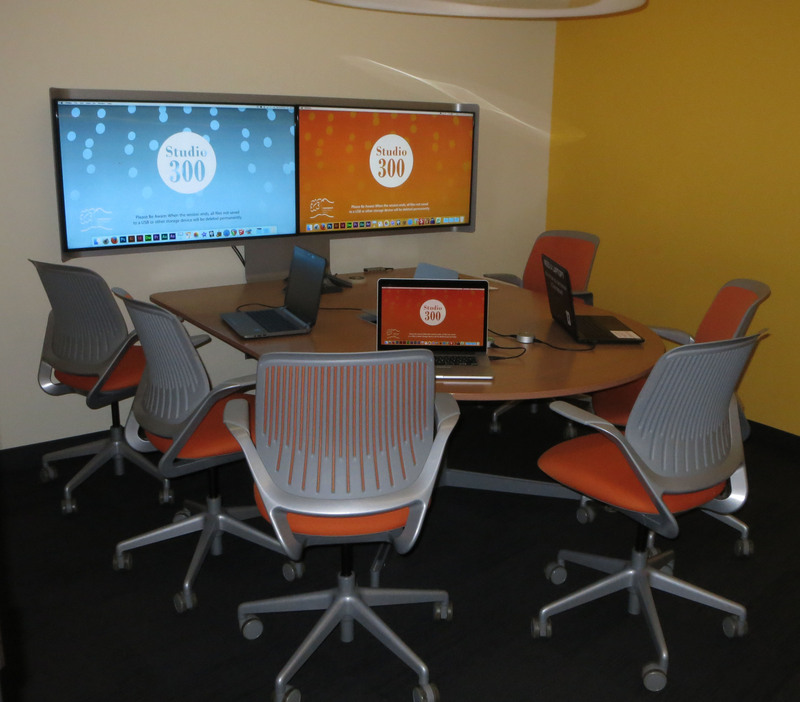 Our three Group Collaboration Rooms are used by businesses, students and community groups for meetings and classes. The media:scape tables make it easy for groups of up to six to share content and collaborate. The update converted our tables to a new all-digital switch that greatly simplifies the system while increasing the resolution of the screens. This new switch will better detect connected devices and scale readily resulting in a better and more streamlined experience for our patrons. Additionally, we replaced the original monitors with crisper, brighter, and larger dual 48″ screens. 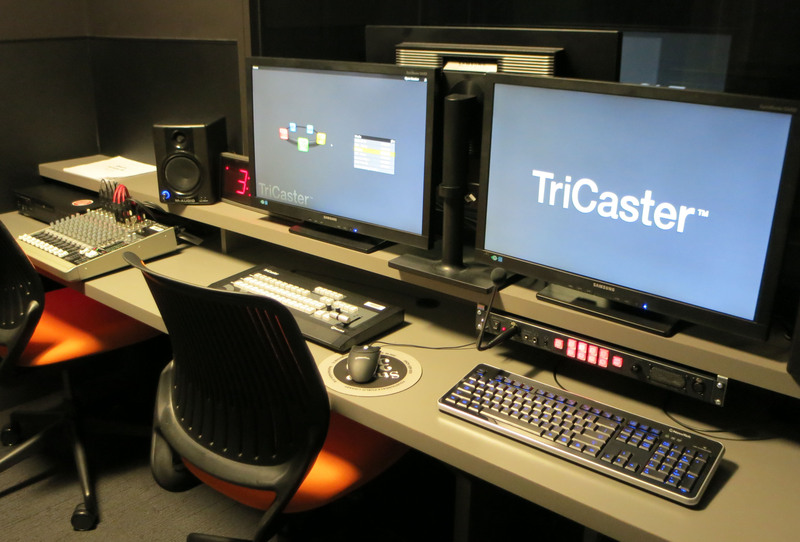 The control room for the two Tricaster television production systems also saw an update. We rearranged the room to better help patrons with the production workflow. We augmented the talkback system for better communication between the control room and the studio itself. Also, we added a duplicate program monitor that can be seen from inside the studio. This monitor greatly assists on-camera talent especially when working with green screen and virtual set technology. Stop by or contact Studio 300 for details about these updates and how you might use them for your own personal and professional projects.